(NaturalNews) The excessive use of antibiotics in humans and farm animals can drive drug-resistant bacteria to thrive. 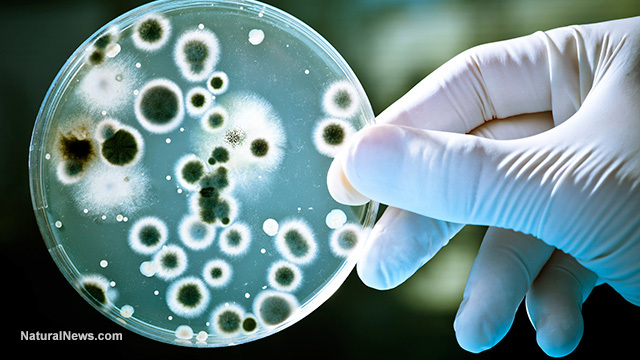 These so-called superbugs are resistant to most traditional last resort antibiotics. Despite this danger, U.S. hospitals continue to over-prescribe these drugs. In a new report researchers from the U.S. Centers for Disease Control and Prevention (CDC) revealed the "worrisome" news that many hospitals across the U.S. are increasingly turning to stronger and broad-spectrum antibiotics to treat their patients. The growing problem of antibiotic resistance in hospitals is a familiar one, but the biggest challenge is finding a way to address the threat. As reported by the researchers, finding a way to reduce antibiotic use in hospitals seems to be a daunting challenge. CDC epidemiologist James Baggs and colleagues reported that between the years 2006 and 2012, the use of antibiotics in hospitals has not changed while the prescription of a class of drugs that is commonly associated with antibiotic resistance dramatically increased. "This trend is worrisome in light of the rising challenge of antibiotic resistance," the study wrote. According to the CDC, unnecessary exposure to antibiotics places patients at risk for serious adverse effects with no clinical benefit. On average 23,000 people die each year as a result of an unstoppable superbug infection, while an estimated two million individuals are infected each year. In a strategy to combat antibiotic-resistant bacteria, the White House has now called the issue "a serious threat to public health and the economy." Dr. Stuart Cohen from the University of California Davis Health System called the antibiotic resistance issues "Darwinism at its finest." Overuse of antibiotics forces more bacteria to build up immunity against the drug to survive. "We can't keep going on like this if we are going to expect people to have the same outcome 20 years from now," Cohen said. According to Dr. Cohen, who specializes in clinical infectious diseases, there are several ways to tackle the growing antibiotic resistance issues. He stated that physicians should only prescribe antibiotics when absolutely necessary, to begin with. Furthermore, patients should inform themselves about alternatives to antibiotic treatments and boost their immune system naturally. Lastly, he added that everybody should use standard hygiene practices to prevent the spread of illness. For the new study, published in the Journal of the American Medical Association (JAMA), Dr. James Baggs and colleagues looked at the data from about 300 hospitals and over 34 million patients who were hospitalized between 2006 and 2012 to investigate antibiotic use. They found that for every 1,000 days of hospitalization, 755 of them included some kind of antibiotic treatment. Furthermore, they reported that about 55 percent of the patients had taken at least one dose of an antibiotic drug before they were discharged from the hospital. While experts have long warned about the dangers lurking in the smallest corners of our hospitals, overall antibiotic use among hospitalized patients in the U.S. has not changed significantly in recent years. Given the growing threat of antibiotic-resistant superbugs, their findings are a strong signal that hospitals should take up their responsibility and put more effort into finding ways to get doctors to prescribe fewer antibiotics. Furthermore, patients can also do their part by asking why they have to take antibiotics and if they are really necessary.